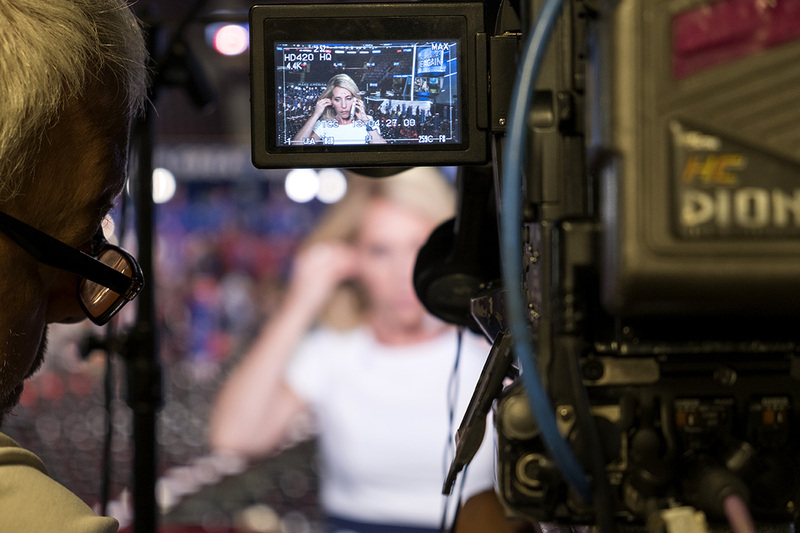 While covering the Republican National Convention for Mother Jones, I got a call for a quick assignment following CNN's Chief Political Correspondent Dana Bash for Elle.com. It was supposed to be a sort of day-in-the-life profile, but I had just a little more than about 20 minutes with her as she arranged interviews by phone on the delegate floor and as she prepared for a hit teasing to a later segment in one of the network's booths. Everyone was busy, and even though my photoshoot was probably the last thing she needed to deal with that day, she couldn't have been nicer. You can see a few other pictures from the shoot at Elle.com: CNN Anchor, single mom, and master multitasker Dana Bash.